Things are really heating up in Union. 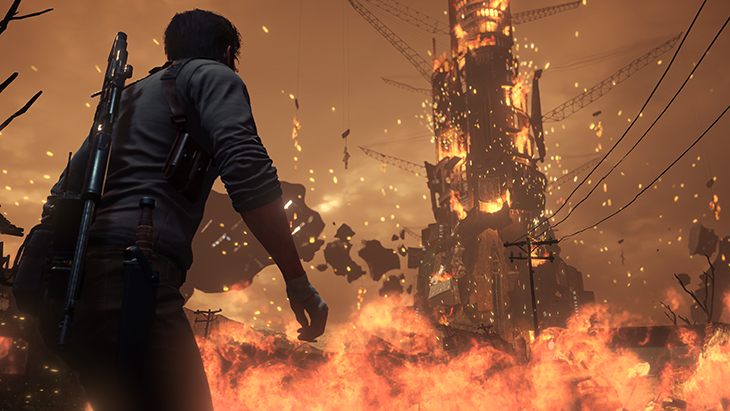 Before strapping back into STEM, take a moment to look at the system requirements and launch details for The Evil Within 2. Are you prepared to do what it takes to find your daughter? 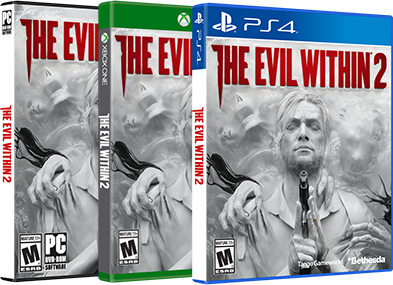 The Evil Within 2 comes to PlayStation 4, Xbox One, and PC on Friday the 13th, October. The only way out… is in. 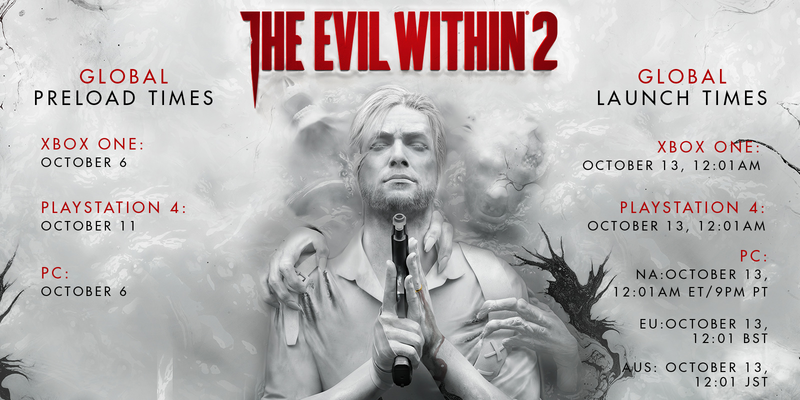 The Evil Within 2 takes up approximately 31GB depending on the region/version when installed to the Xbox One. A patch will be available on launch day, which will require 250MB of space available to install. Additional space will be necessary for game saves, requiring up to 18MB. Up to 10 saved games can be stored. The Evil Within 2 takes up approximately 33GB depending on the region/version when installed to the PS4. A patch will be available on launch day, which will require 260MB of space available to install. Additional space will be necessary for the player to make game saves, requiring up to 72MB of space available on the HDD for a save to be made. Up to 10 saved games can be stored.